Sunday, Oct 18: Get Your Green On! Please join and share this event! We’d be especially grateful for people experienced in planting trees, laying brick, and driving vans. But all skill levels welcome! 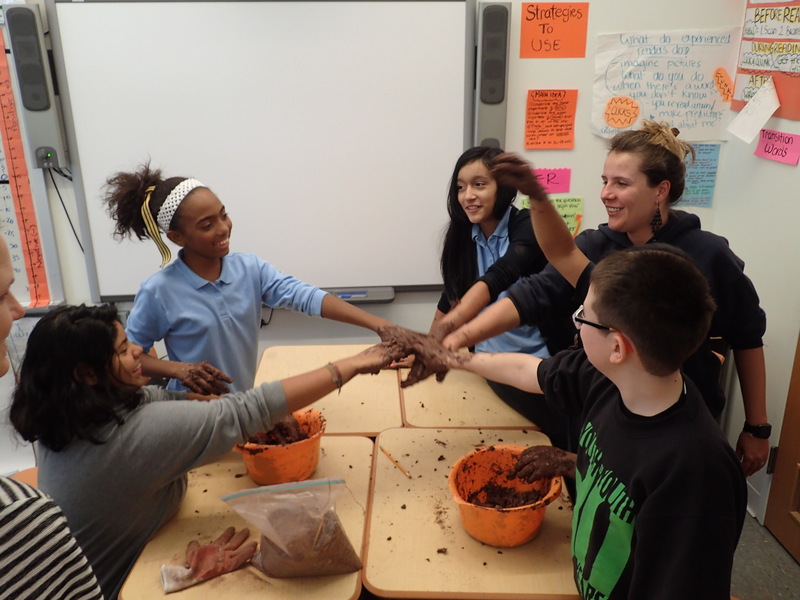 Sunday, October 18: GreenLaunch Planting and Improvement Party! 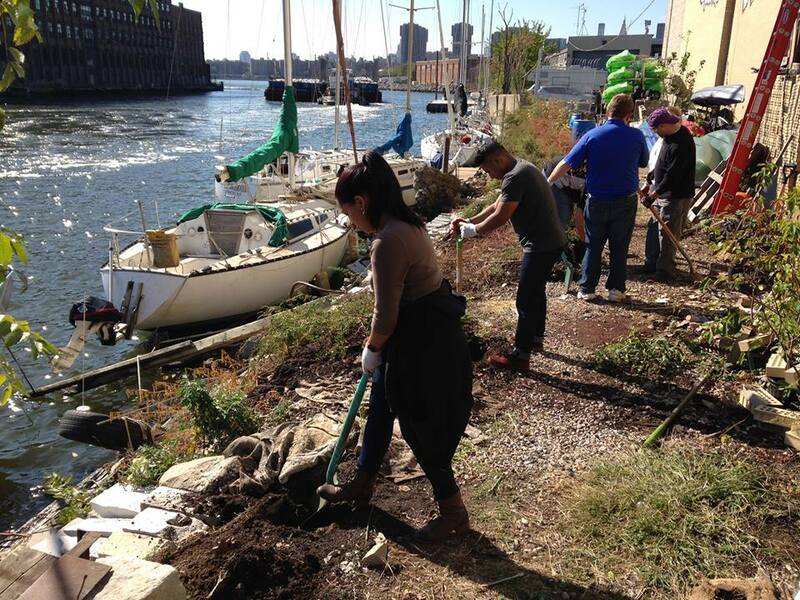 Create an orchard and beautiful habitat area on the Hunters Point, LIC waterfront of the Newtown Creek! A former illegal dump and brick depot is becoming a green and welcoming place! Errands: Possibly picking up cocoa shells, wooden planting box, soil from Home Depot, If we have enough volunteers, adults can rotate through brief paddling breaks. 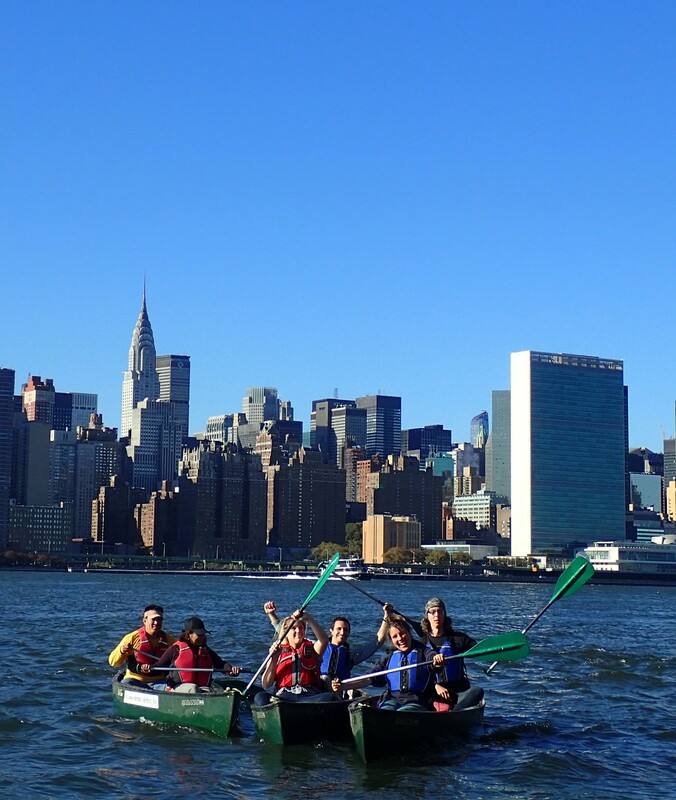 12PM: Gather at HarborLAB (53-21 Vernon Blvd, LIC, NY, 11101). Quick orientation for newcomers. then straight to work! 2:30–3:30PM Pizza break. HarborLAB treats. 6PM: Dinner or paddle for ice cream? Move bricks and remove debris. Plant remaining trees (replacing dessert fruits in the ground). Plant dessert fruits into containers. Build a fish-shaped tree planter and fire pit with seating. Redo the dock attachment to be rational.